Description: Blackout returns to Los Angeles for another season of extremely up close and personal Halloween horror, this year titled "Blackout: Elements." You must walk through alone, with a protective mask and a flashlight, and you must do everything you are told to do - as unpleasant as those actions must be. 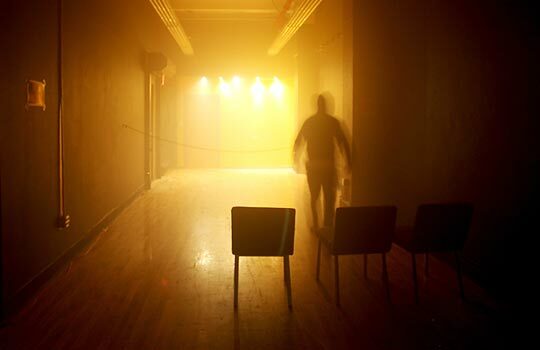 The official website warns that you will encounter not only the usual fog, strobe lights, darkness, and loud noises, but also physical contact, including sexual and violent situations. You will need to sign a waiver before entering. There is a safety word to yell if you want the horror to stop (literally "Safety! "), and the haunt will ask you to leave if you refuse to perform any of the required actions. There are no refunds. Strictly speaking, this is not a haunted house. Rather, the creators intended it as an avante garde theatrical event, then added the "haunted house" label. Blackout runs on weekends and some weekdays from October 4 through November 10. Blackout originated in New York before opening a second location in Los Angeles. For 2013, there will be a Chicago location as well, starting in December. Does Blackout not sound like your cup of blood? 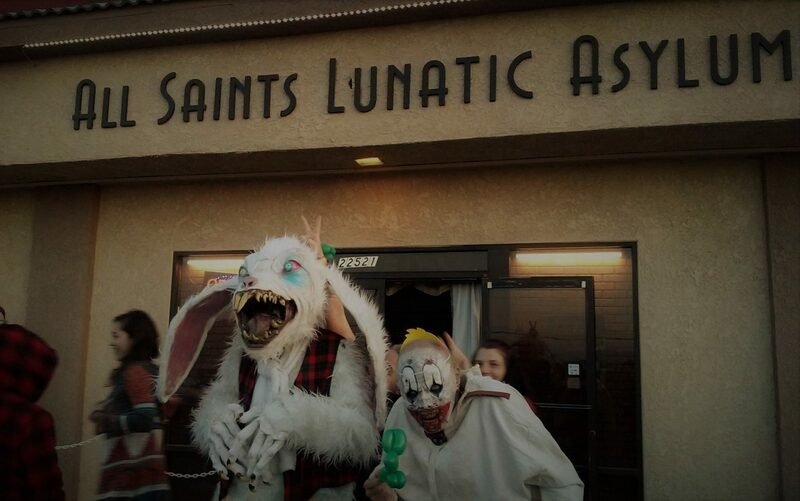 Click here to find other Halloween Haunted Houses and Hayrides in Los Angeles.